Stephanie at Swoodson Says is doing a year long challenge to Try Something New Every Month, but she also wanted to see what other creative year long challenges were out there. So she did a little bit of researching and is sharing her results on her blog. 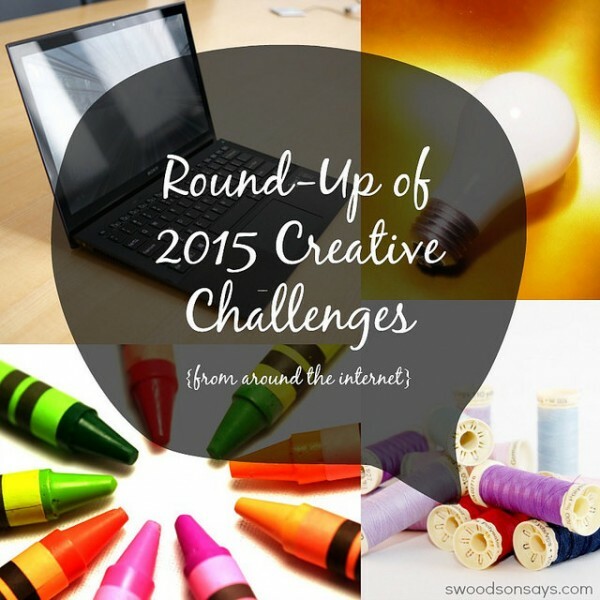 Learn more here: Round-up of 2015 Yearly Creative Challenges – Swoodson Says.